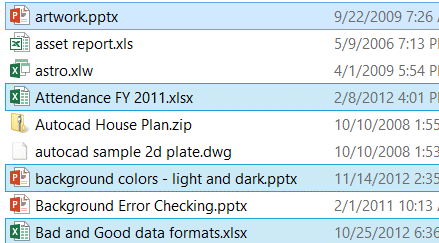 Changing the view in Windows Explorer (File Explorer) is a frequent task. Views are different arrangements of files like large icons, detail and so on. The keyboard shortcuts used in Windows 7 do not work in Windows 8. Here is a good set of keyboard shortcuts you should know for Windows 8. There are 8 shortcuts. This is a short post. But it is very nice and useful. I found it recently… I don’t know if this is documented – I did not check. 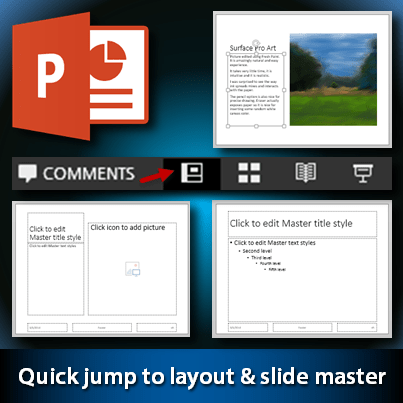 While editing presentations, we often need to edit the layout master and / or the slide master. I just found a very quick way to do so. This is a small but useful post. Spreadsheets become large very quickly. Lot of scrolling is required to navigate it. This way you can scroll one screen of data at a time. Please read the previous two articles first. In this article we continue to explore the mouse usage scenarios further. In this article, I am using an abbreviated writing styles – using minimal words, reducing long paragraphs… making it short, sweet and to the point. Let me know if you like this style. Common activity. Usually used for Copy Paste operations. Press the RIGHT mouse button while dragging and dropping … and see what happens. You get a set of menus to choose from. Read the menus and then enjoy. 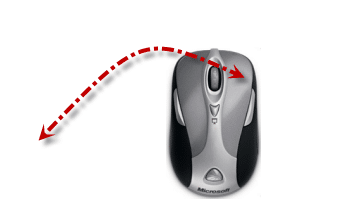 Explanation: When you drag drop using left mouse – the default action happens. Who decides the default action? The vendor who created the software. But the default is chosen based upon what most users want in that situation. Homework: For the next few days, try right drag drop in places where you usually drag drop – and learn more! Sometimes you start dragging something and change your mind. How to cancel the operation without any damage? Think a little – guess … ESC key. That is when we try to copy and paste. No need to do so. Drag from one window, take the cursor to the Outlook icon on the taskbar..
Move cursor on the thumbnail or name of the desired window and .. If you use multiple monitors, you can drag-drop items across the monitors. This is useful when you have a laptop and an external monitor / LCD screen attached. Depending upon where the external monitor is physically kept in relation to your laptop, your mouse cursor can move from edge of your screen to the external desktop. This is configured using Display Properties – Settings tab. This tab will show two monitors. If monitor 2 is physically on the left side of base laptop, then you can move the monitor 2 icon accordingly. Once this is configured, the laptop mouse cursor will move over to the external monitor from the LEFT edge. If monitor 2 was configured to be on the right side of the laptop screen, the mouse cursor will spillover from the RIGHT edge of laptop screen. You can even arrange the second monitor above or below the main laptop screen. This configuration is often done when your external monitor is physically installed above your work table to save space. 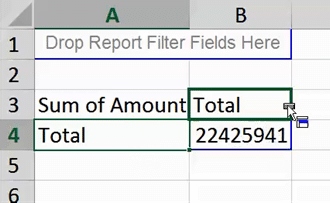 Best example to illustrate this is drag dropping fields into a Pivot Table (Classic mode only – blue border pivots). 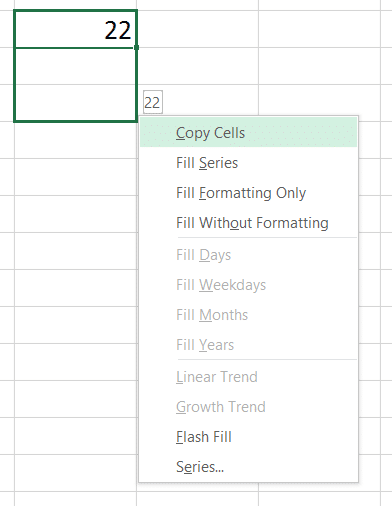 when you are over row, column or data area it changes dynamically. 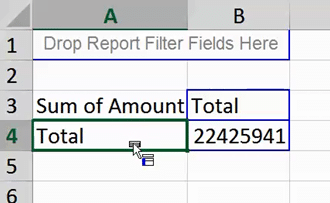 Observe it and you will never make the mistake of dragging a field to the wrong area in Pivot table! Press CTRL key and move the wheel – ZOOM in and out the document. Practice it a little. 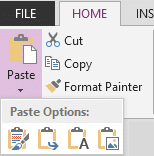 If you just move the scroll wheel while the cursor is over the RIBBON (Office 2007 onwards), it changes the selected menu (Tab) very quickly. If you don’t use a mouse with your laptop, this feature can still work if you have a touch pad with right margin configured for scrolling. Most newer models of mice have a horizontal scroll facility, called the “Tilt Wheel”. This is often ignored and we never end up using it. Here are some common uses of horizontal scrolling. 1. 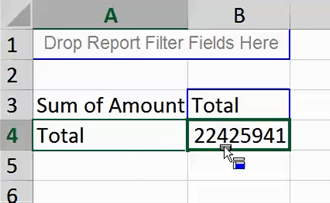 Excel: Horizontal scrolling is probably most important in Excel as you have large number of columns to view. But I find the keyboard shortcut or more convenient here. 5. Any document which needs Panning functionality. Tilt wheel may not be supported by all software applications. Just position the mouse cursor anywhere on the ribbon and use Scroll Wheel. It shuffles the ribbon tabs – try it NOW. Mouse has limited number of buttons. But combining it with keyboard keys (Shift, Alt, Ctrl) makes it more versatile and useful. Generally while working with shapes / objects/ files if you press Ctrl key while dragging, it usually means COPY the object. 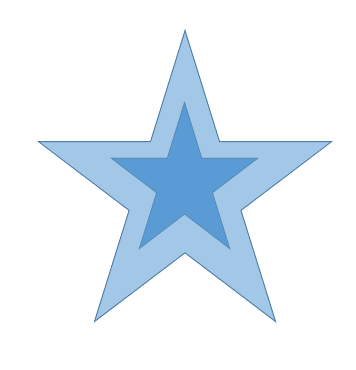 To indicate the copy operation, the mouse cursor typically shows a PLUS sign. If you don’t see the plus sign, it means a MOVE operation! This works with file drag drop as well. The default action is reversed by pressing CTRL key while dragging a file. If you are dragging a file from one folder to another on the SAME drive – default action is MOVE. 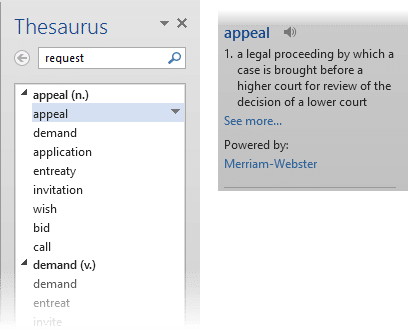 Across drives, default action is COPY. So be careful while pressing CTRL key while dragging files. To select items (like a shape) we usually click on them. To select text / data we click and then drag. We will discuss how to use mouse to learn new features, while you work… This is a completely new (and originally unintended) use of mouse! Here are some shortcuts which I have found useful. DO NOT try to memorize the shortcuts. Only if you use the functionality frequently you need to find or create and remember the shortcut. Triple Click Triple click anywhere in a paragraph to select the entire paragraph. Shift Alt Up / Down arrow Press Shift Alt Up / Down arrow to move entire paragraphs up or down. Also works with multiple selected paragraphs and PowerPoint bullets. (PrtScr) Copy a picture of entire screen to the Clipboard. Ctrl V to paste it. Use Alt PrtScr to copy only the active window image. Ctrl Click Selects the current Sentence. (Wheel) Pressing CTRL key while moving the mouse wheel zooms in / out. Works in Word, Excel, PowerPoint, Visio, Internet Explorer and many other products. Supports 100 levels of undo / redo by default. > or < Increase or decrease font size of the selected text. Ctrl Alt V Paste Special. Provides many options to paste copied content in different formats. Ctrl V does default paste. Ctrl Shift V Paste only formatting from the source (Press Ctrl Shift C to copy). Or PgUp If pressed after Finding some text, finds next or previous occurances of the found item being searched for. Ctrl Shift N Apply Normal Style. Useful when you want to remove all unwanted formatting and revert the text to regular body text quickly. Ctrl Alt M Insert a comment for the selected text or current position in text.